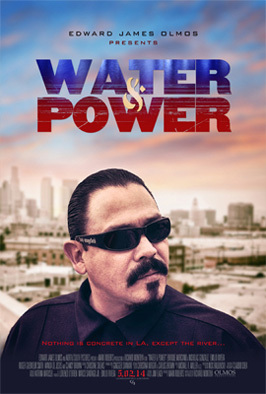 WATER & POWER is a modern Noir that takes place in the streets of LA. Twin brothers nicknamed “Water” and “Power” from the hard scrabble Eastside streets of Los Angeles rise like prince’s through the city’s political and police ranks to become players in a complex and dangerous web of the powerful and corrupt Los Angeles. On this one night they find themselves in a seedy motel room on the eastern edge of Sunset Boulevard on a dark and rainy night. Something has gone very wrong. Can Power exist without Water? The Fixers and Powers of the city need answers. Everybody is looking for the Twins. Originally developed as a stage play by Richard Montoya of comedy and stage company, Culture Clash. The stage-play originally Premiered in 2006 at the Mark Taper Forum in Los Angeles. Water and Power won the Los Angeles Theatre Critics’ Circle and Ovation Awards for Best New Play. The project was subsequently developed at the Sundance Writer Lab in January 2007 and was work-shopped at the Sundance Directors Lab that same year. Richard has been named an Annenberg Film Fellow at the Sundance Institute to work on the film version of the group’s popular (and hilarious) show.